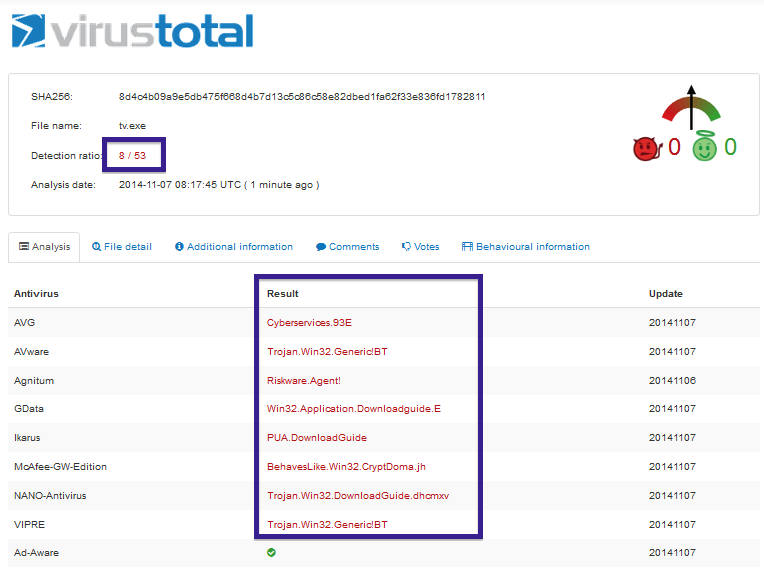 If this is the first time you hear about VirusTotal.com, add it to your bookmarks right away. 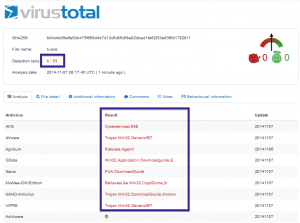 VirusTotal is an online service where you can upload a file and more than 50 anti-virus programs will scan the file to detect various types of malware. 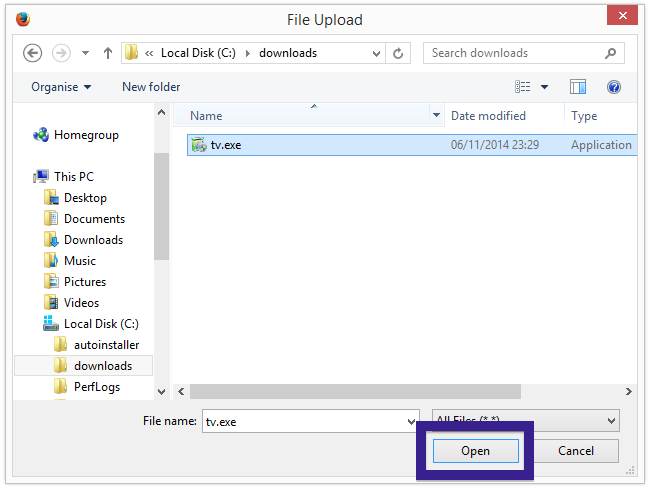 This can be quite useful if you have downloaded something and you are not confident the file is safe. 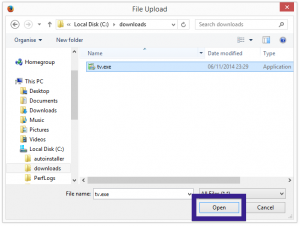 Here’s a quick demonstration on how to upload and scan a file at VirusTotal. Click on the Choose File button and browse to the file that you want to scan. When you’ve found the file, click Open. Then click the Scan it! button to start the scan. After a few minutes the scan is usually complete. The file I chose to scan, tv.exe, is detected as malware by 8 of the 53 anti-virus scanners as you can see in the screenshot below. The scan result also shows the detection names. Some of the anti-virus programs calls the tv.exe file “Cyberservice” and “DownloadGuide”. The scan report. Click for full size.